The Midby Companies is currently developing the first “apartment style” student housing on the campus of the University of Nevada Las Vegas. 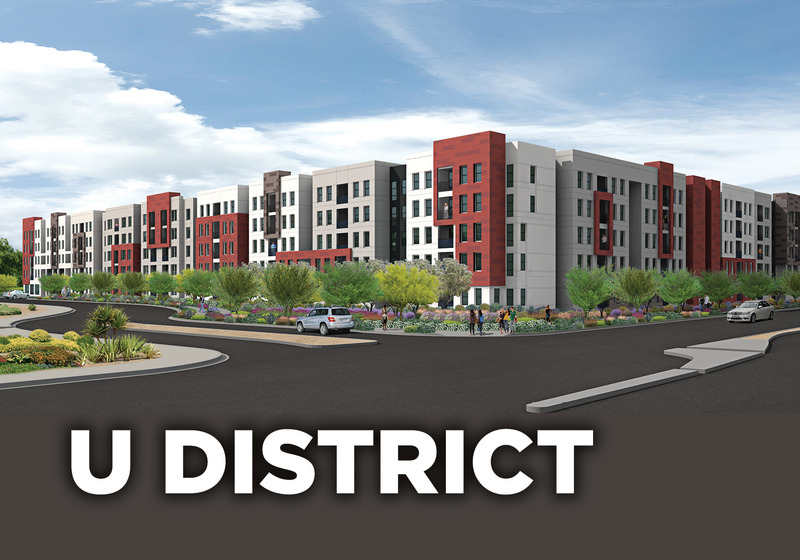 Under a Lease and Development Agreement with the Nevada System of Higher Education, The Midby Companies is responsible for the planning, financing, construction, and operation of new on-campus student housing on the site of an existing apartment complex. The new development is expected to take place in three phases spanning almost a decade of continuous development. At each phase of construction, the remaining existing apartment complex will be renovated and marketed to UNLV student and staff. 5 stories of type IIIA wood frame, wrap style, construction. Includes interior and exterior amenity areas, leasing offices, and structured parking. The existing units will remain in service until demolition for new construction. During this time they will receive interior renovations and upgrades as well as improvements to the exterior and overall property. Starting in Summer/Fall of 2016, these units will be marketed to UNLV students, faculty, and staff.